Rapid PT Program: Should We See Obesity as a Disease? Recently, the American Medical Association (AMA) recognized that obesity is a disease. This decision was actually the exact opposite of the recommendations made by the AMA's own investigating committee. What was the AMA's reasoning? 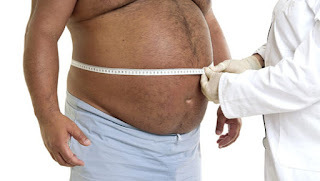 To try and stop the growing epidemic of obesity by changing the way doctors and insurance companies view those with a Body Mass Index (BMI) of more than 30. The age-adjusted rate of obesity in the US (in 2008). Like many other bloggers, I'm happy to hear that the medical community is taking obesity more seriously, but am also conflicted about the decision to see obesity as a disease. The rest of this post as been moved to my Mayo's Mind blog.